Helping inspire and create beautiful spaces is something Urban Barn is passionate about. As part of our Shelter Rejuvenation Program, we were given the opportunity to transform spaces in shelters from five different regions across Canada to help create a homier feel for visitors. The Shelter Rejuvenation Project is a community-focused initiative aimed at refreshing an area in different shelters across the country. To create a bright and inviting place for visitors and staff, select rooms were updated with new furniture and accessories chosen based on new room designs created by your local Urban Barn staff. “When people come through our doors, they’ve been through quite an experience. Having a warm, comfortable space really helps their healing.” – said Lisa Spinks-Smith from the Women and Children’s Shelter of Barrie. In addition to its Shelter Rejuvenation and Blanket the Country in Warmth programs, Urban Barn also runs its Give and Take program in partnership with Habitat for Humanity. 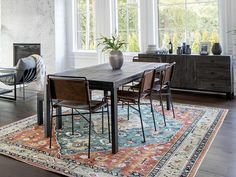 Through this partnership, Urban Barn removes old furniture from customers’ homes with the delivery new furniture from Urban Barn for a nominal fee. The old furniture is brought back to Urban Barn’s warehouse where it is carefully inspected to determine its condition. Eligible items are transported to Habitat for Humanity’s ReStore locations for resell. All proceeds from Habitat for Humanity’s ReStore program go directly into rebuilding homes around the community.